They can grow up to 30 cm / 12 inches maybe more fully grown. The live in water parameters of PH range 6.5-7.5, and temperatures of 18-24 Celsius / 65-74°F. The comet gold fish can be a peaceful cold water fish. However they are very quick moving, so it is best not to mix them with slower moving fish. 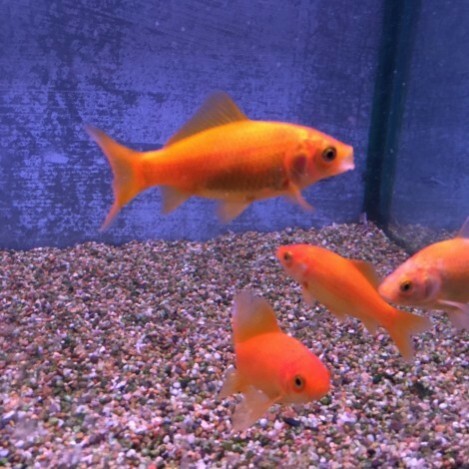 The comet gold fish is a single tailed goldfish, they are similar to the common goldfish. However they are slightly smaller and slimmer, and they are mainly distinguished by its long deeply forked tail. There is a mixture of colours you can get with the comets, there is the normal red comet, yellow comet, black comet, white comet, and the sarasa comet which is a mixture of red and white. The comet gold fish is a very greedy fish. They will eat any foods you put in for them like flakes, pellets, and granular foods. And also treats of frozen, or live foods are good for them. 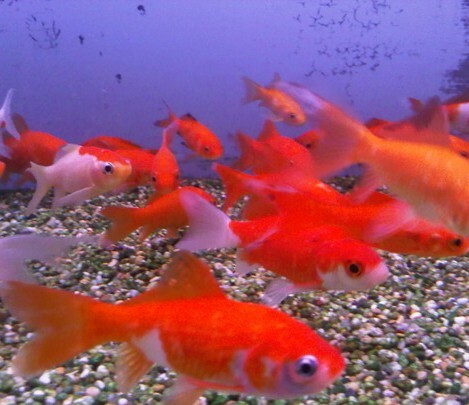 They can go in to indoor tanks or out side ponds. Gold fish will eat anything. It is best to feed them food that is a good size to fit in there mouths. They will feed of the surface of the water or on the bottom on the gravel. Feed them once a day at the most.